Start the New School Year With More Fun, Engaging Techniques and Resources Than You’ll Probably be Able to use all Year! Are you looking for ways to integration technology in your lesson plans and courses that provide for an engaging experience for you and your students? Fans of instructional technology know that it can be fun and inviting, and engaged students are far more likely to be learning. I believe that if you can get students involved and motivated effectively enough, you can improve their learning habits over the long term. With that in mind, here are 10 highly engaging uses of technology in the classroom, along with dozens of tools and resources for implementation. Most of these involve free web based tools, so that's an added bonus! The 2014 Gates Foundation report, Teachers Know Best: What Educators Want from Digital Instructional Tools, indicates that teachers want tools “supporting student collaboration and providing interactive experiences”. These types of tools are fun and engaging, and they support 21st century skills like collaboration, communication, and creativity. Learning this compelled me to write the article, “20 Fun Free Tools for Interactive Classroom Collaboration”, which has been in the top 10 most popular posts on the site since I published it in May. We followed that in July with “5 More Cool Tools to Take Classroom Collaboration to a New Level”, another popular post. So there you have over two dozen fun free interactive collaboration tools to consider using in your classes this year! Surveys/Polls (using any Internet enabled device): When you use web based survey and polling tools, users can often participate from any web-enabled device. SurveyMonkey is a popular web based survey tool that provides for a small survey at no cost. Doodle, Polldaddy, and SurveyAnyplace, are a few other alternatives. Clickers: Also known as Student Response Systems, these devices make it really easy to gather student feedback. Click here to read a story about a contest winner we had on the site back in 2010 who used Clickers to help improve FCAT scores. Plickers: This is a relatively lo-tech, and highly affordable alternative to clickers that does not require students to have an electronic devices! Learn more here. Twitter! Twitter is a unique, fun way to gather feedback when students have a way to tweet. Create a unique hashtag and have students use it in their tweets, to create a custom stream of student tweets. In this article, a College of Westchester teacher explains how Twitter helped engage her students in the course material. Today’s students consume video like drinking water. As today’s teachers leverage this fact by using video for instructional purposes more than ever, free tools that enable educators to embed questions are powerful aid. When students are asked to consume video content outside of class, how can you help to ensure that they are really engaging with the content? Here’s an excellent approach. EduCanon: I recently created this ‘3 Minute Teaching with Technology’ Tutorial Video showing how easy it is to use EduCanon to do this. EdPuzzle (edpuzzle.com): I haven’t tried this one yet, but I heard about it at FlipCon14, and people seem to really like it! 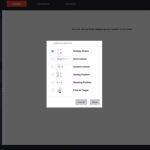 Ed.ted.com: This is a different approach – one that allows for the building of a quiz and other interactive content after the video is viewed. How can technology be used with inquiry-based learning? How does technology complement constructivism? Bandura’s Social Learning Theory posits that “people learn from one another, via observation, imitation, and modeling”. Of course, the type of socialization that occurs via “social” computer tools is certainly different than face-to-face social interaction, but it still offers opportunities for social learning. Moreover, when it comes to blended and online learning, making an effort to bring social elements into the picture can truly help to fill one of the gaps that digital learning can have when contrasted with face-to-face learning. Can Social Media Play A Role in Improving Retention in Higher Education? Research Says it Can. As digital learning content becomes increasingly commonplace, one challenge we teachers are faced with is how to make sure that students are engaging with content they are consuming. Unlike the traditional textbook, digital content generally lends itself to much easier distraction. One technique to help ensure that this type of content holds students’ attention is to make it interactive, requiring responses and actions during consumption. We’ve already looked at embedding questions in videos as one example. Other techniques can include clicking on simple response requests, embedding discussion forums in content, or using techniques like K-W-L or WSQ. Whatever approach you take, it’s worth considering some sort of measure to help ensure engagement. I’ve written a few times about the inspiring nature of student created content. Surely, one of the most rewarding moments a teacher can have is when they see the pride a student’s face when they share something they have created. In the article, Student Created Content is an Exciting and Inspiring Learning Tool that Teaches Many Skills, we look at student uses of iBooks and iMovie. As another example, I shared presentations created by students in my Emerging Information Technologies course using a variety of presentation tools in this article. One very well-known form of Active Learning is Project Based Learning, and technology lends itself to PBL in so many ways. Heck, there’s no need for me to write much more on this when so many others have! One of the primary challenges in getting engaged in the classroom can be making the time for it. If a course has a lot of learning content that has to be delivered, many teachers will use class time to that end. Flipped teaching and learning is a technique that addresses the question, “What is the Best use of Valuable Face-to-Face Class Time?” by making more class time available to be used as you see fit. Getting active and engaged is a great way to use that time! This LessonPath provides a through introduction to the flipped classroom. These 5 short videos from Sams and Bergmann answer many key questions about the flip. FlippedClassroomWorkshop.com is a web site packed with great resources for learning more about flipped instruction. 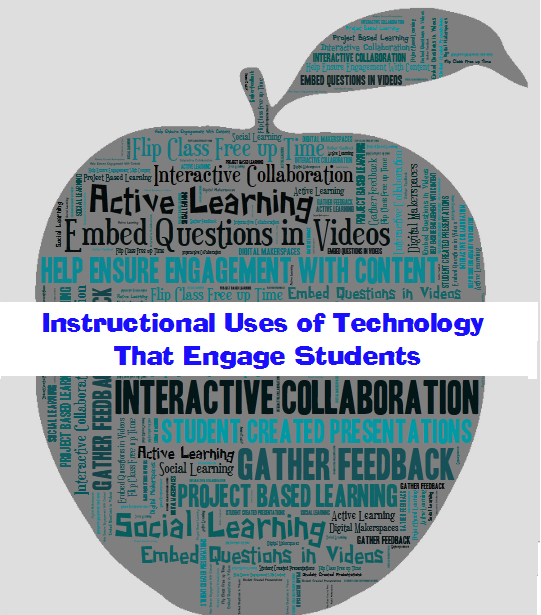 Well, there you have it … a plethora of engaging using of technology for your classroom. Have fun! By using classmint you can make teaching more engaging. Classmint provide image , text and audio annotation. By using these tool teachers can make their notes more interactive and can make teaching more engaging. For more information feel free to visit classmint.com. Thanks for the excellent post! Teachers should bookmark this page. One thing I would add (possibly a hybrid of Gathering Feedback and Interactive Collaboration) are learning platforms like ClassMind that not only gather feedback but are able to continually assess student progress with trend analytics to show teachers which students are learning and which ones need help.